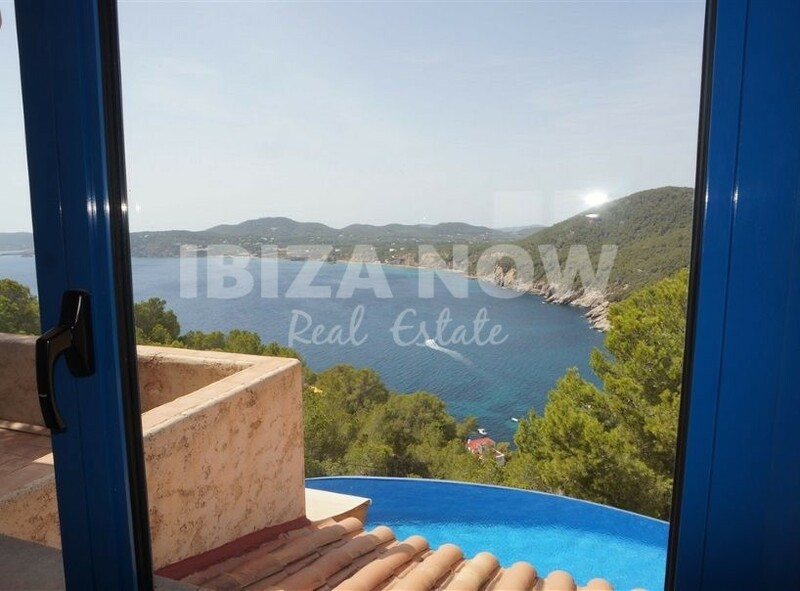 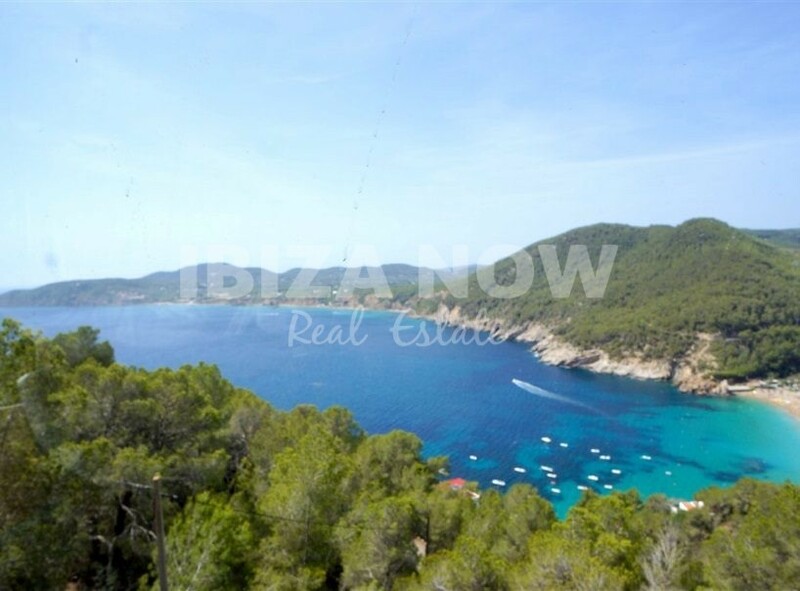 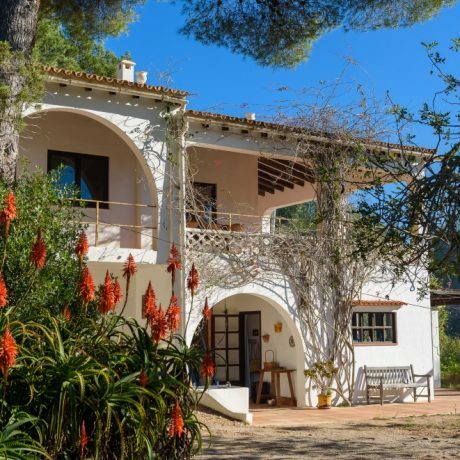 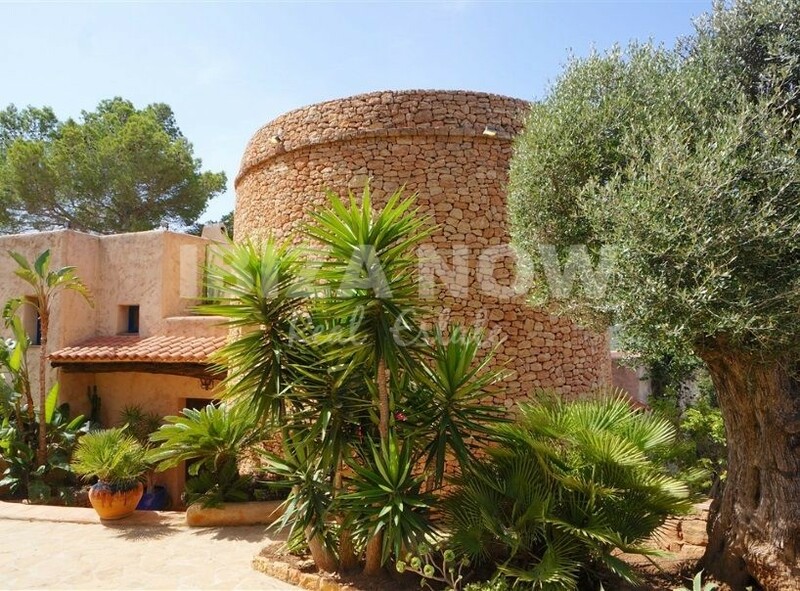 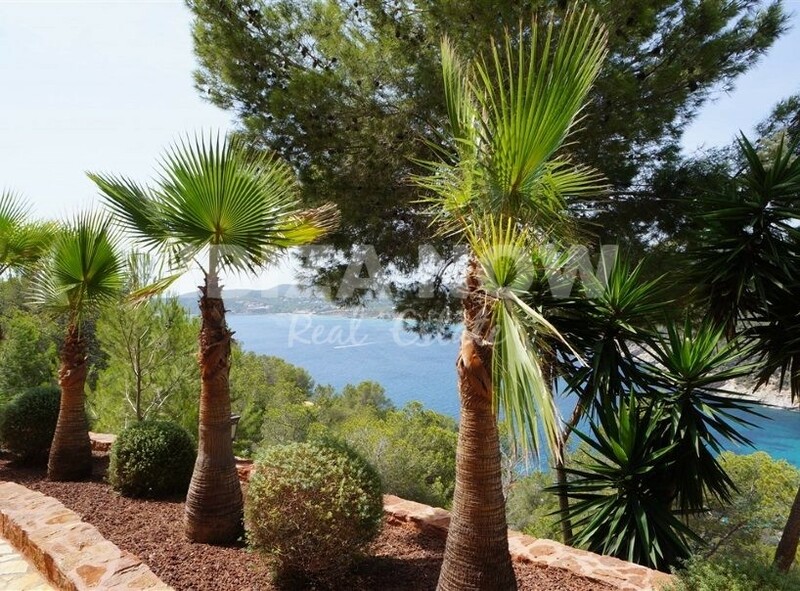 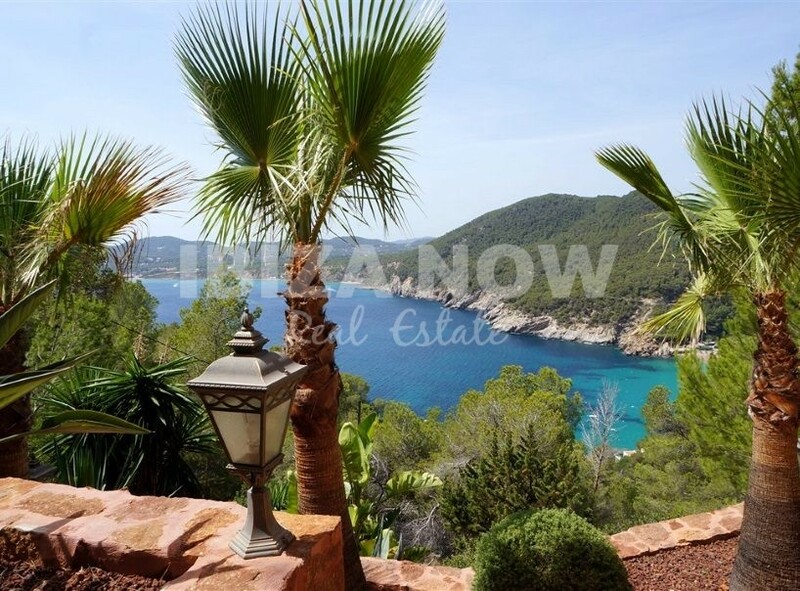 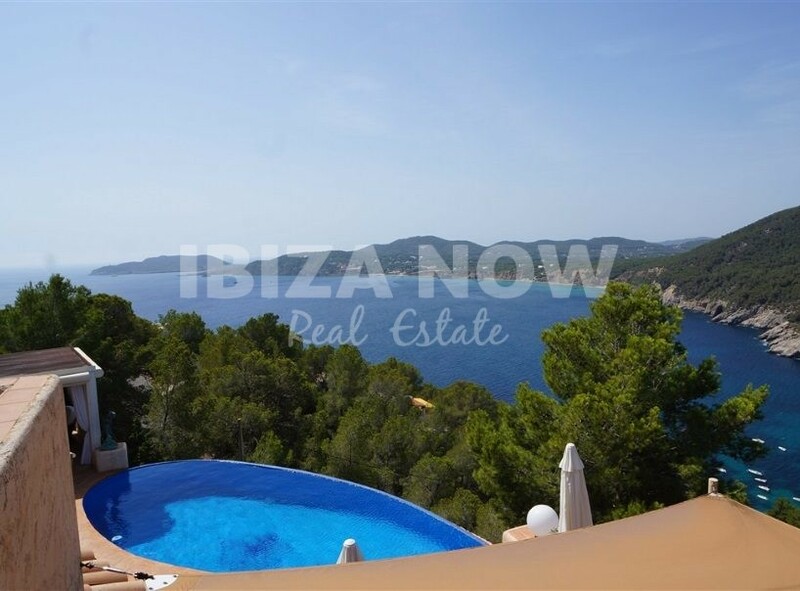 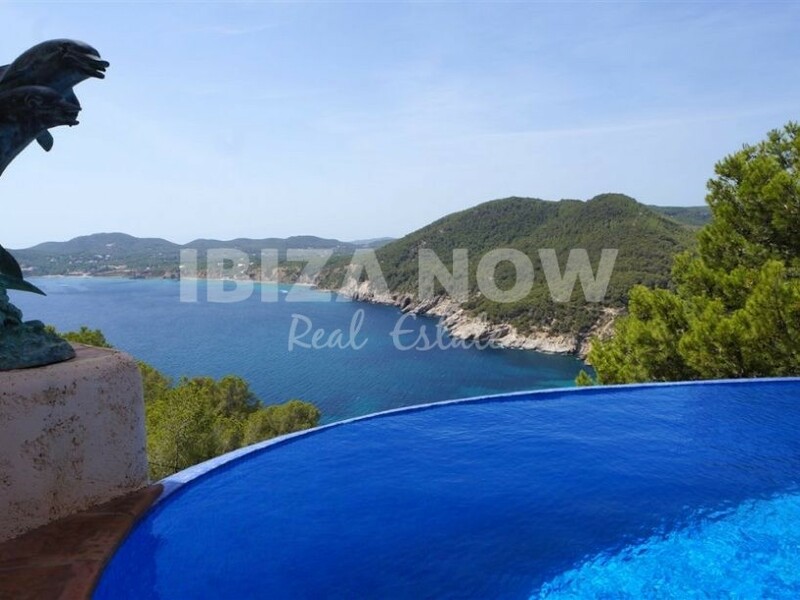 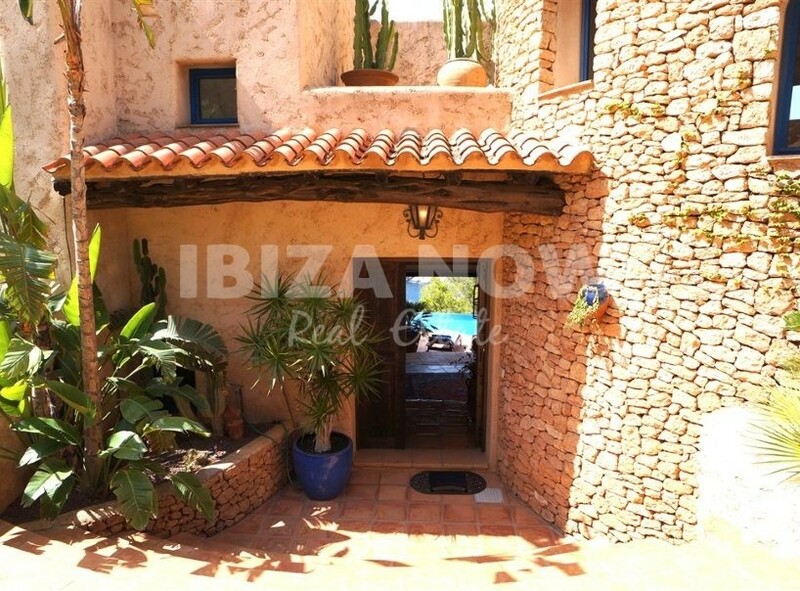 Rustic style villa for sale in Cala Vicente, Ibiza. 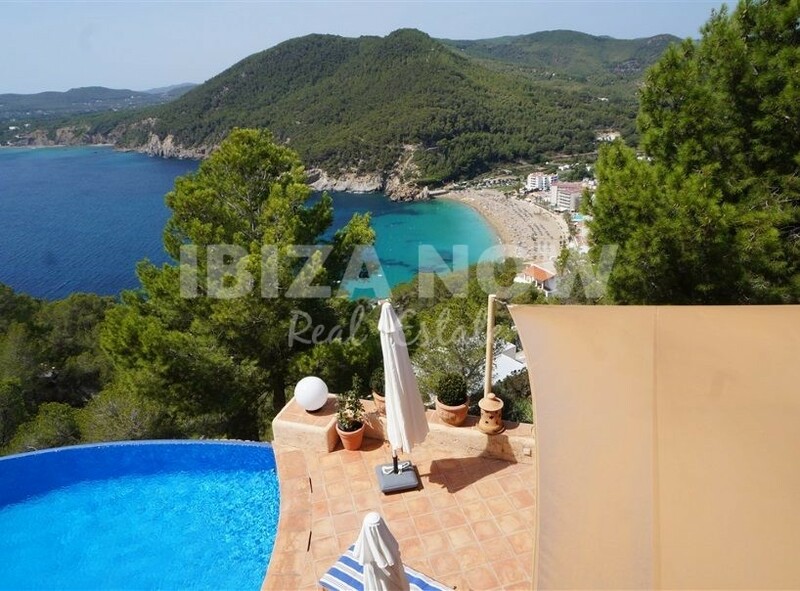 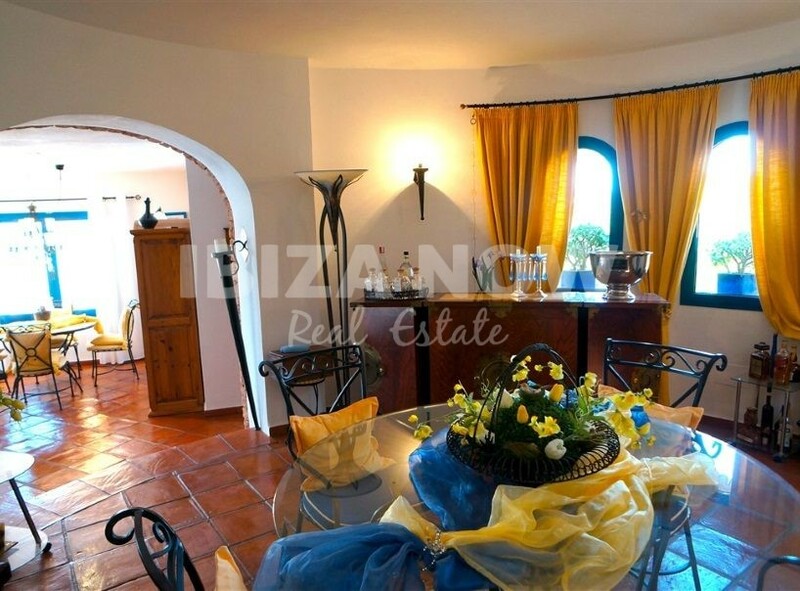 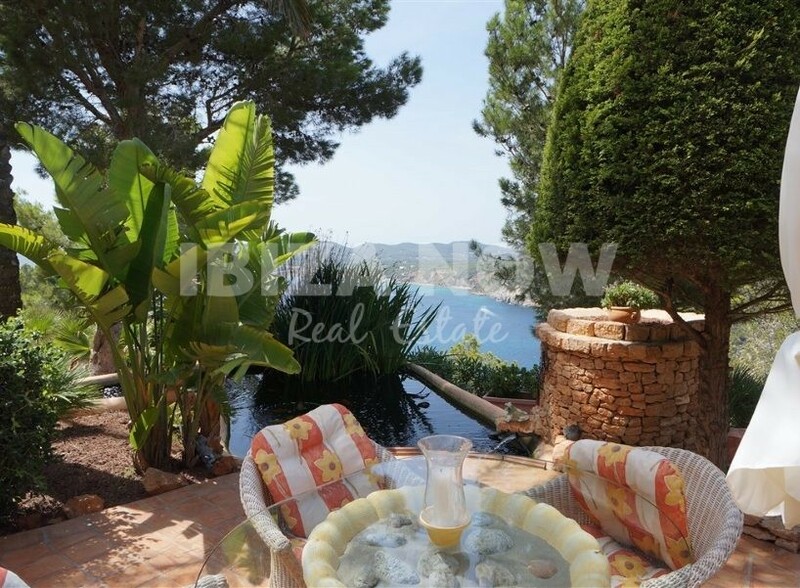 This traditional villa is located on the top of the mountain offering amazing sea and mountain views. 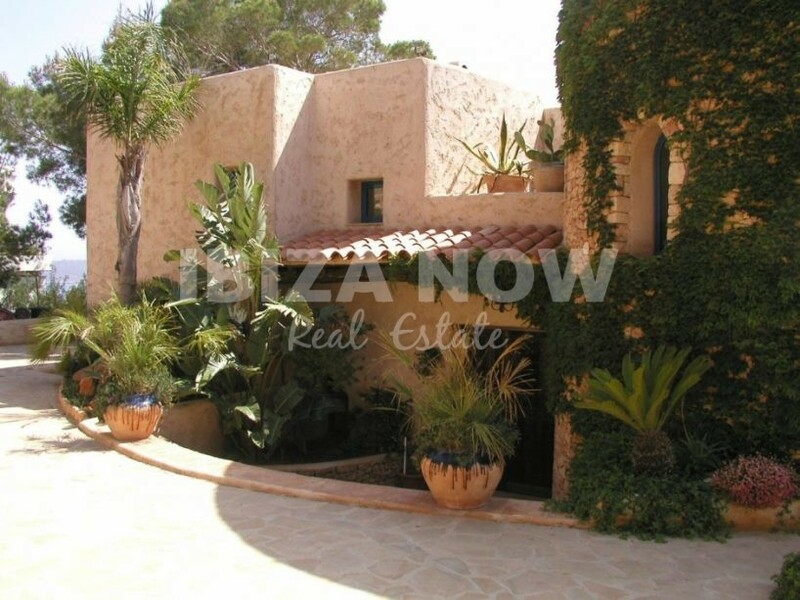 Set on a plot of 5522m2 and with 246m2 built over 3 levels. 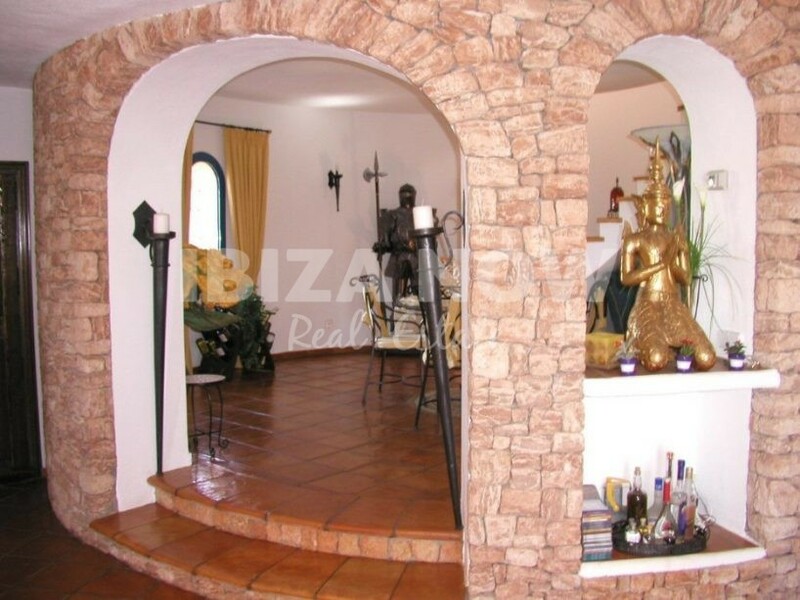 On the main floor, we find the entrance hall, living room with fireplace, dining room, kitchen area, guest bathroom and tv room. 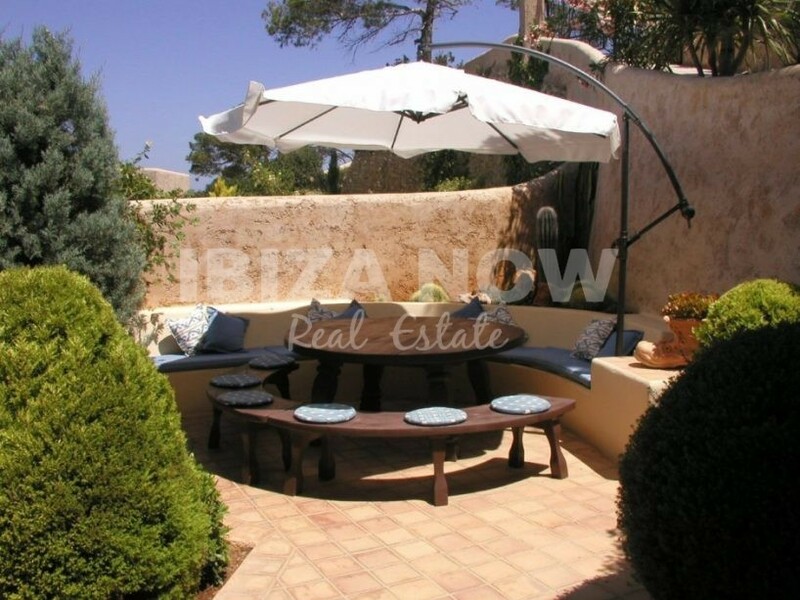 Furthermore, we have a nice terrace, swimming pool and covered chill out area. 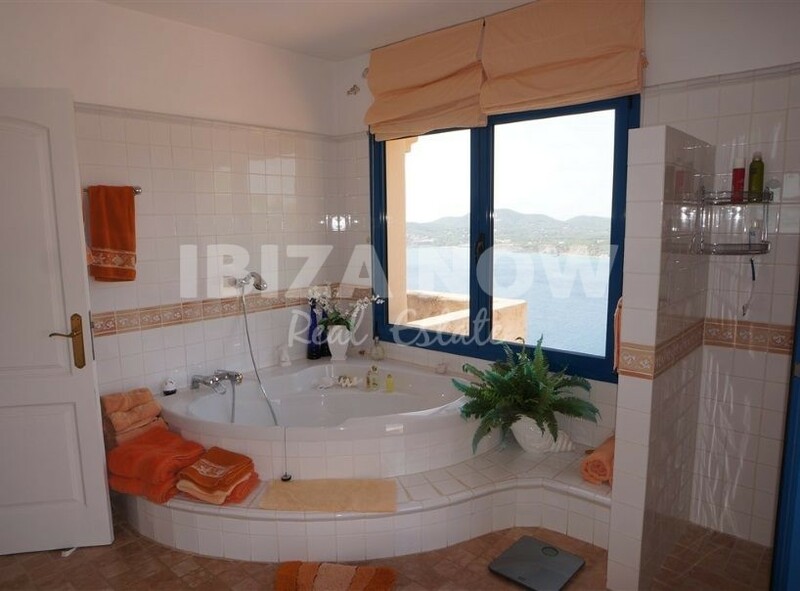 The first floor has 2 bedrooms that share 1 bathroom and a terrace. 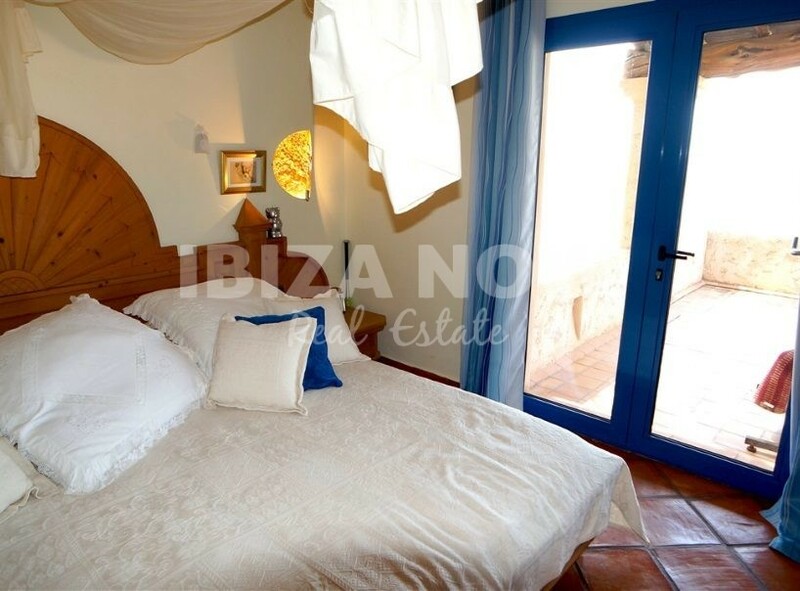 On the lower floor, we find a studio with living area, kitchen, bathroom, and bedroom. 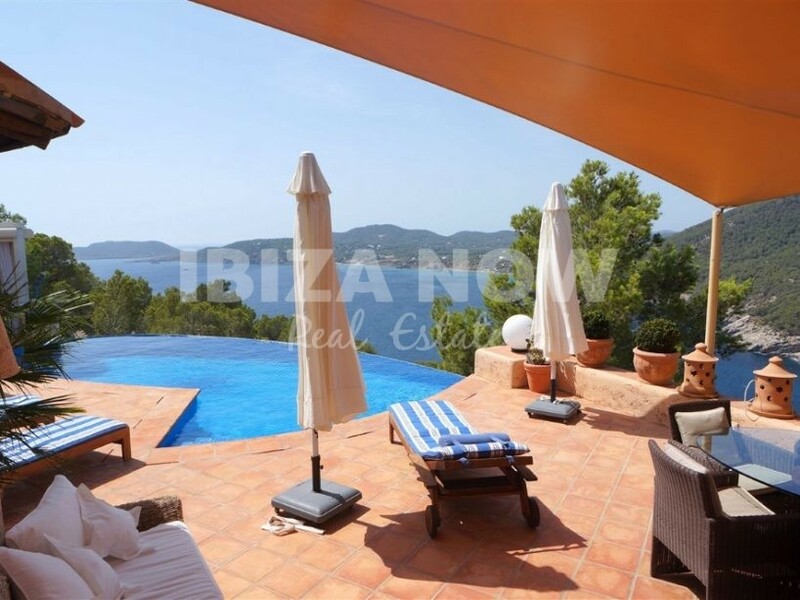 The views from this property are just out of this world, as a result of the many terraces around the house, one can enjoy these views from all angles. 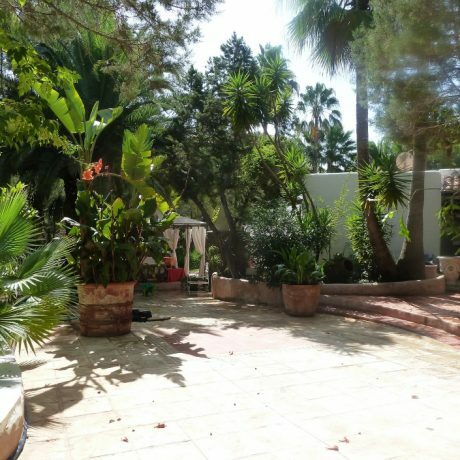 Great location, good size rooms and with lots of potentials to be turned into your dream house.